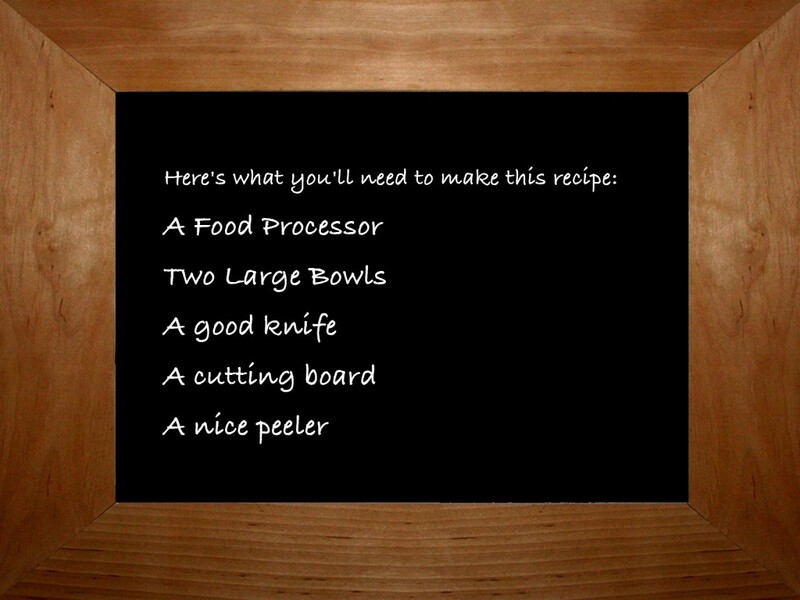 Forget about a mix in a box, The Bubbe takes these simple ingredients and makes latkes that will knock your socks off! The Bubbe even came up with a Veggie Latke this year that turned out very tasty. This year you can make them too and wow your friends and family as you celebrate Hanukkah this year. Enjoy the video. 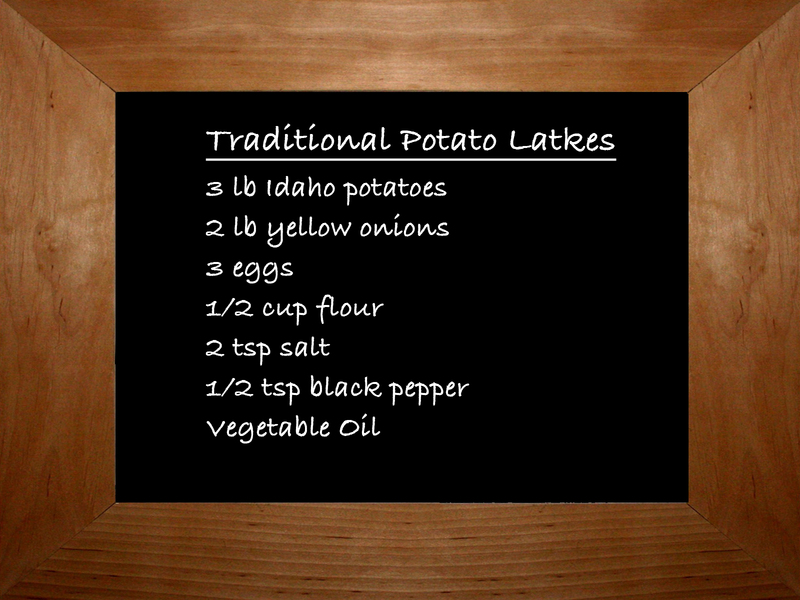 Cooking with The Bubbe – Homemade Potato Latkes from The Bubbe on Vimeo. Peel potatoes and cut up for shredding in food processor. Squeeze out excess liquid from shredded potatoes. Do the same with the onions. Put shredded potatoes and onions back into food processor and mix well. Pour mixture into large mixing bowl. Add eggs, flour, salt, and pepper. Mix well and set aside. In large skillet, heat enough vegetable oil to fry latkes. When oil is hot, drop large heaping spoonfuls of potato mixture into pan and fry until golden brown on each side. Drain latkes on paper towel to absorb excess oil. Makes approximately 18-24 latkes. Peel zucchini, then cut up for shredding in food processor. Squeeze out excess liquid from shredded zucchini. 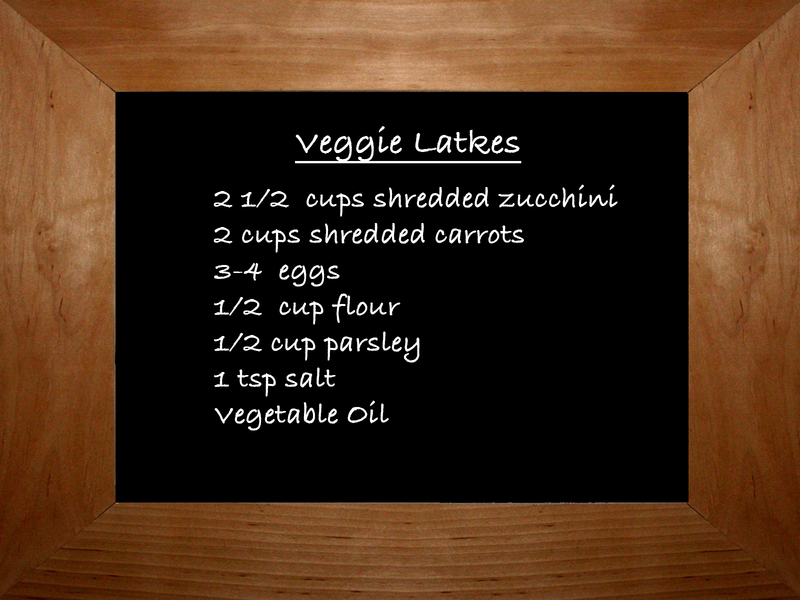 Put zucchini into large mixing bowl and add shredded carrots, beaten eggs, flour, salt and parsley. Mix well and set aside. In large skillet, heat enough vegetable oil to fry latkes. When oil is hot, drop large heaping spoonfuls of mixture into pan and fry until golden brown on each side. Drain latkes on paper towel to absorb excess oil. Makes approximately 18-24 latkes.